Oh… why not another cupcake?? 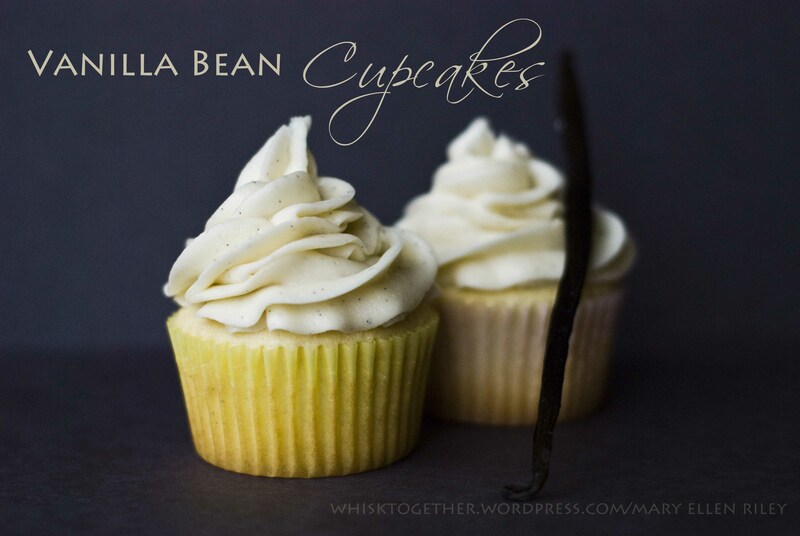 And after buying all those vanilla beans in order to make those 2Vanilla Bean Gifts, you need to use them up right? 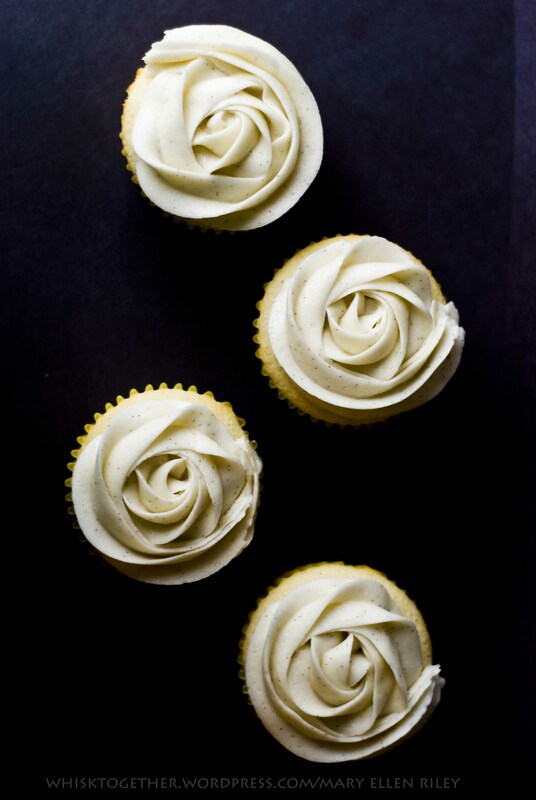 I have a regular vanilla cupcake recipe on here as well. That one was also delicious. Very simple and classic. Method Explanation: All of the cold ingredients are at room temperature. This is because room temperature/warm ingredients trap air better than cold ingredients. More air = more fluffy texture. The milk and flour are added alternately because dumping all that liquid into the batter would make the batter lose air bubbles. Alternately added the flour with the milk allows the batter to retain more air which = more fluffy texture. 1 and 1/4 cup whole milk, room temp. 4 large egg whites, room temp. 8 Tbs. (1/2 cup or 4 oz.) unsalted butter, room temp. 1. Preheat oven to 350 degrees. Sift cake flour, baking powder, and salt. 2. 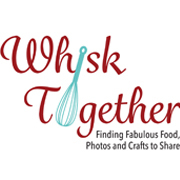 In another bowl, whisk milk and eggs whites. 3. In a third bowl at the stand mixer, beat your butter, sugar and vanilla bean seeds about 2 minutes. Until the butter is light and fluffy. 4. Alternate adding the milk/egg mixture and flour. Start and end with the flour. Beat 2 minutes on medium. 5. Divide the batter evenly between the cupcake liners. I use my 3 Tbs/large cookie scoop and this works perfect every time. About 2/3 full. 6. Bake 18-24 minutes. Cool for 10 minutes then place on a wire rack. Removing the cupcakes from the pan will help keep them from separating from the cupcake liner due to condensation forming between the cupcake and cupcake pan. Top with any frosting you like! Below is my usual buttercream frosting and I simply added another set of vanilla bean seed scrapings to it. 1. Cream the butter and seeds until light and fluffy (about 1-2 minutes). 2. Slowly add the powdered sugar in small increments. 3. Add vanilla and milk. Beat 2 minutes on medium. Add or subtract the milk depending on the humidity in the room, how stiff you want the frosting etc. **If you like LOTS of frosting, and some people do, use 3 sticks of butter, 1.5 lbs. of powdered sugar, 2 tsp. vanilla extract and 4-6 Tbs of milk. I decorated the roses and piles of frosting with the Wilton 1M tip. The frosting you pipe in circles from the outside in. The roses you pipe in circles from the inside out. Again, these were so delicious the other night! I keep thinking about them when I need to make a dessert. Thanks for the tip about the temperature of the ingredients – I love knowing the “why” behind baking/cooking so that I can get better at it.